Criminals can access data of eBay members by using a security gap. Unsuspecting victims simply need to visit a specific eBay listing, no additional link must be clicked. During viewing the item page his/her name, address, E-Mail address, and other data can be submitted to third parties. By integrating a flash animation into an item description it is possible through so-called Cross Site Scripting (XSS) to view all personal data which normally should be exclusively available to users in „My eBay“. Section from „My eBay“ of a fictional member account. Besides the personal data also all latest trading activities (successful or not) as well as the watched items can be viewed. Also the personal mailbox „My Messages“ is accessible. 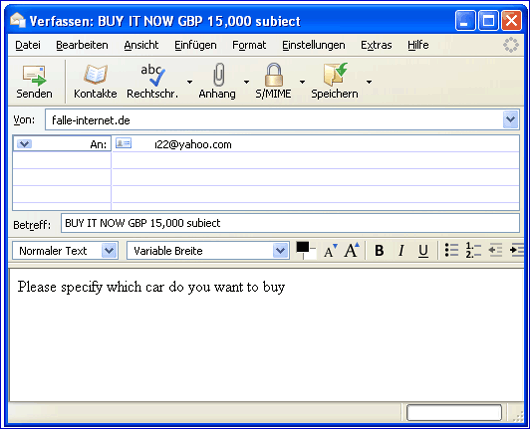 These sensible information can be easily used by criminals to send fraudulent offers to unsuspecting victims, e.g. those ill-famed faked „Second Chance Offers“ (SCO's). If these fake SCO's show the real data of the receiver, the trust of victims in the genuineness of such offers is considerably higher. Also the criminal phishing of passwords is made relatively easy by this XSS security gap. By manipulation of certain listing elements a fake login page is presented to the victims, which forwards entered passwords to the criminal attackers. The deception is more perfect than the usual forwards to external sites – it is possible to fade in the fake login directly to the listing page, the victim gets the impression that he/she is still on an official eBay page. 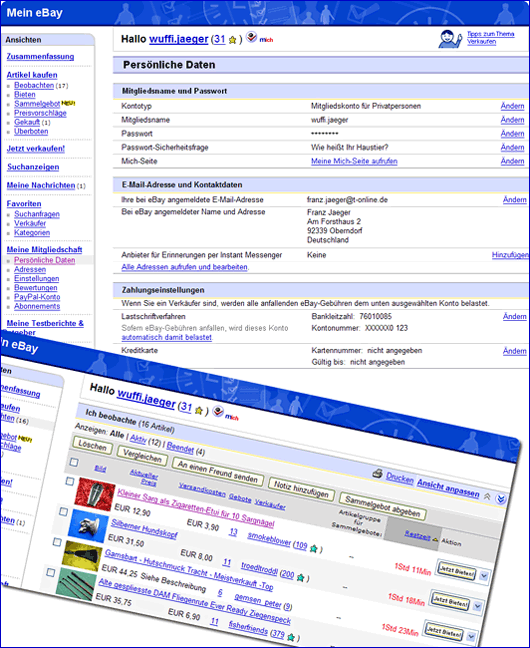 With their »Revised policy on use of script functions« eBay Germany reacted on October 1, 2004. Since then e.g. scripting of cookies, forwarding to other internet offers, implementation of external scripts and pages, or pop-ups are prohibited. However, the use of Flash for implementation of external content was excluded specifically from this prohibition. 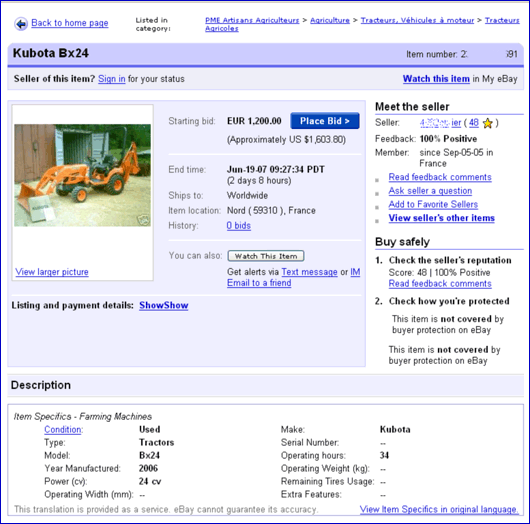 This listing was completely manipulated, also outside the item description. Even further goes a special manipulation of the »Bid« button which has been noticed already rather frequently. If a user intends to bid on the item, he/she will be transferred to an external fake login site, from which the phished password is directly mailed to the scammer. 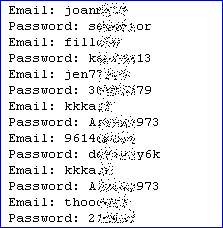 All member logins and passwords typed in there are automatically mailed to the phisher. Fast cars and beauty women – a successful combination. Within a few days only hundreds of account details are phished and ready for use by the scammers. 3 months after we submitted specific information to eBay, and after more than one year knowledge about the real usage of the security gap by scammers, no effective reaction was performed by eBay. »falle-internet.de« therefore believes it is necessary to inform the public about this threat. During research how criminals make use of eBay´s lacking security measures, »falle-internet.de« performed a practical demonstration test of the XSS Flash exploit under real conditions. 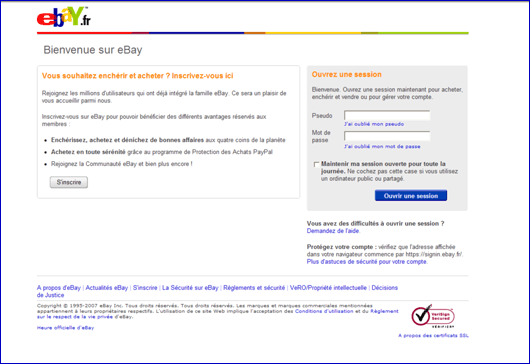 Selected users could repeat the test, and they established that their personal data in „My eBay“ had been accessible to third parties. In November 2007 eBay got a confidential hint about our scheduled test series, as reaction »falle-internet.de« received an E-Mail from eBay Germany´s director »Law Enforcement Affairs« which could be considered as threat as it refers to the so-called „Hacker Act“, §202c of the German crime law. Despite the fact that the danger by XSS is known since years, in early December »falle-internet.de« introduced the weak points including potential solutions to eBay Germany's »Law Enforcement Affairs« department. Mid December we also informed their department »Trust & Safety« again about the potential risks. Until today they are not removed effectively. 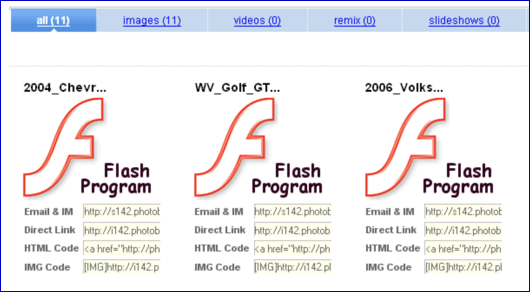 Other internet platforms may be effected in a similar way, if they allow users the uncontrolled integration of Flash.